Trading standards officers in County Durham investigated almost 200 scams during the first half of 2017. Fake lotteries and prize draws along with fraudsters imitating government and local authority services are the most common scams to be reported to Durham County Council since January. The authority is encouraging people to be on their guard against fraudsters as it supports Scam Awareness Month, a joint initiative with Citizens Advice that runs throughout July. The theme of this year’s campaign is ‘Play your part, Act on scams’ and the aim is to encourage people to report scams, even if they haven’t fallen victim to one, as tackling this type of crime should be everyone’s business. 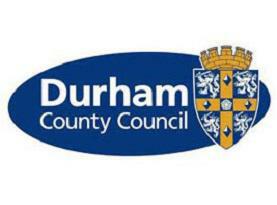 Owen Cleugh, Durham County Council’s consumer protection manager, said: “Scammers are using increasingly clever tactics to mislead people and are targeting different age groups – this is not just a risk for the elderly, literally everyone could be a victim. “We are pleased to be supporting the campaign to raise awareness of the dangers and helping people learn how to protect themselves from being ripped off. Last year, calls to Citizens Advice rose by 13 per cent across the UK during Scams Awareness Month. Reporting a scam not only helps the victim, it also provides vital intelligence that can prevent future crimes.